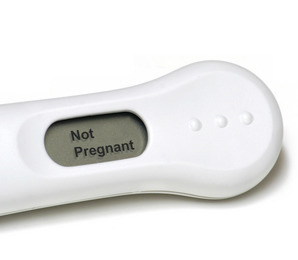 Home / Pre-pregnancy / It’s not happening! Once you have decided that you are ready to embark on the journey into parenthood – often you expect that it’s all going to magically happen! After all, for many of us so much effort has been put into ensuring that you don’t fall pregnant – so it is expected that this should be a straight forward, natural step. When you’re growing up, you never imagine having any difficulty in The Downstairs Department…You assume that as, and when, you and your partner decide the time has come for kids, you’ll just dispense with the usual precautions and let nature take its course. But nature’s course can be more circuitous than expected. Wrong turns, dead ends, breakdowns can all crop up along the way. The experience of trying to get pregnant can be all-consuming. If you have been trying to fall pregnant, but unsuccessfully, it is natural to feel frustrated and disappointed when you realise that you have not conceived at each cycle and it’s not happening. You may also, quite understandably, feel angry, jealous or resentful of others around you – particularly towards those who seem to be able to become pregnant more quickly, effortlessly or accidentally. It all just seemed so unfair. We were desperate to have a baby and had been trying for months and months, and when someone announces that they are pregnant… well, sure you are happy for them, but another part of your heart just sinks, as you try and hold it together and be happy for them. It is also common to feel more tired, and often there can be added pressure on your relationship. To top it all off – people may tell you to ‘just relax’ – which can make you feel that they don’t understand and can leave you feeling more isolated. Falling pregnant can take time – technically you are not considered to have fertility problems until you have been trying to fall pregnant for twelve months. If you are over 30, some suggest to allow at least six months before seeking assistance, but you may want to seek advice sooner if you are getting to the latter years of your thirties or early forties. You are not alone – infertility affects 10-15% of all couples of reproductive age with the likelihood increasing in cases where the women is over 35, where the incidence of infertility increases to one in six. Be proactive – talk to your doctor – order tests to check if there is an issue with you or your partner sooner than later – particularly if you are over 35. There are now many options – discuss fertility options. It may be helpful to agree with your practitioner that if you have not fallen pregnant by a certain time point that you will reconsider your options for fertility treatment. There are a range of different levels and types of treatment to be considered with your health professional ranging from tablets taken over a short time period to increase ovulation through to more intensive interventions like Assisted Reproductive Technology (ART) and In Vitro Fertilisation (IVF).